The Fire Alarm Technician: Not All Superheroes Wear Capes! Since they don’t wear a cape or colorful tights, to the untrained eye the fire alarm technician is just the guy who comes in to check the safety of your fire equipment. But in reality, the fire alarm technicians at Total Fire & Safety are specialized employees who actually end up saving lives by making sure your equipment functions properly in an emergency situation at your commercial building! 1. Battle the forces of evil at a moment’s notice! 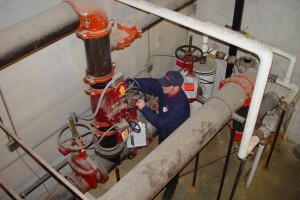 When the call comes, the fire alarm technicians jump in their “Total Firemobile” and rush bravely in to battle the villain, whether it’s a malfunctioning backflow problem or a damaged sprinkler system. They soundly thwart the forces of equipment failure by repairing and replacing the critical systems, always emerging victorious. While Chicagoland sleeps, the Total Fire & Safety technician is on the job, throughout greater Chicagoland, lndiana and lower Wisconsin. 2. Excel at searching out the right clues to every puzzle. 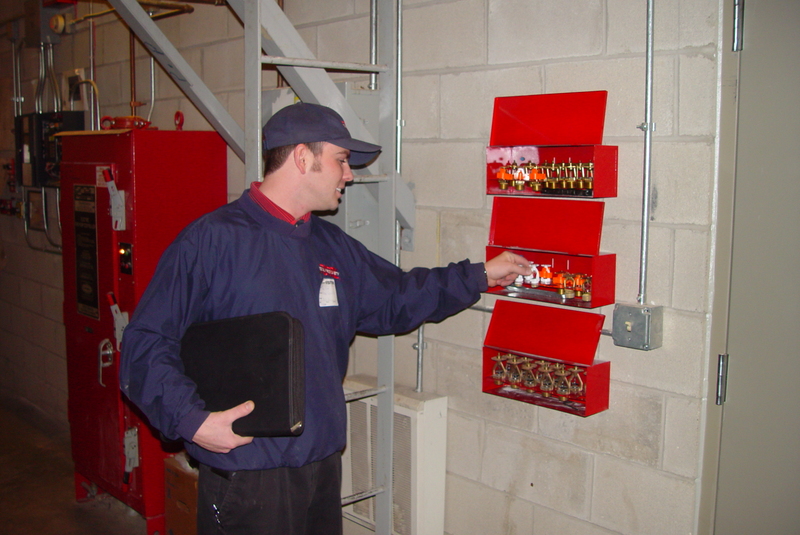 The crafty fire alarm technician can decode the secret language and uncover the valuable clues in blueprints, diagrams, specifications, schematics and operational/product manuals to find the information that saves the day and restores equipment to its proper functionality. It’s all in a day’s work for the fire alarm technician! 3. Protect their customers and save the day. 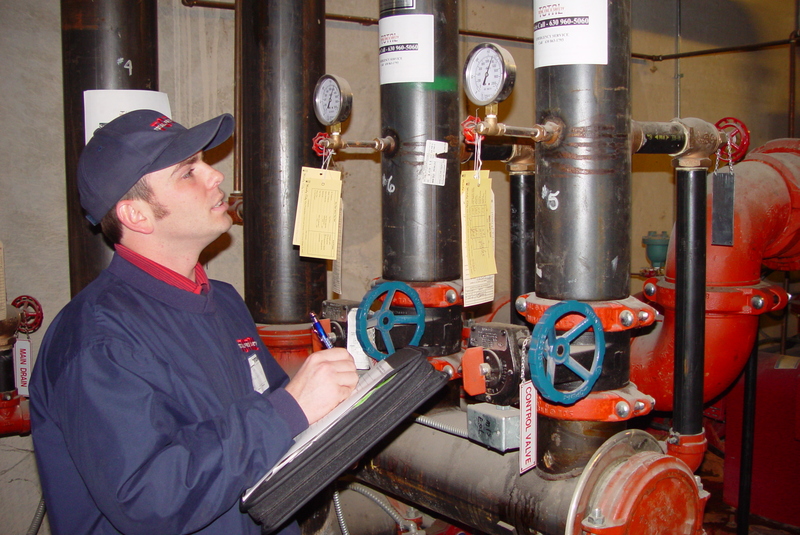 The Total Fire & Safety fire alarm technician deals directly with our customers, listening to their needs and providing the best, safest solutions for their situation. With professionalism and skill, they communicate with headquarters to make sure all is well for their customer, humbly accepting a mere humble thanks for their efforts. 4. Go wherever the wind takes them…even overnight. The life of a fire alarm technician is filled with adventure on the road, going where they are called and serving willingly. Total Fire & Safety fire alarm technicians are flexible enough to travel overnight in order to perform inspections and repairs for clients that are not so close by. That’s what all heroes do! 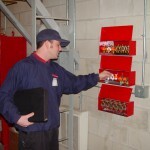 Bravery, trustworthiness and competence are all marks of the highly trained fire alarm technicans at Total Fire & Safety. Do you have what it takes? We are always looking for skilled individuals to join our force of heroes. Those who qualify can apply at apply at Total Fire & Safety for a distinguished career as well as competitive compensation and benefits such as health and dental and a position in a growing company with room for advancement. Contact Total Fire & Safety today about opportunities and learn how being an everyday hero with us can lead to exciting opportunities to do good in the world! Category: Fire Alarm Monitoring, Fire Extinguishers, Fire Safety, Sprinkler Systems, Suppression system, Total Fire and Safety Tags: fire alarm, fire alarm for business, fire alarm tech jobs, fire alarm technician, fire alarm technician jobs, fire safety, fire safety careers, fire safety jobs, technician jobs, Total Fire & Safety, total fire & safety jobs, Total Fire and Safety, total fire and safety jobs | Comments Off on The Fire Alarm Technician: Not All Superheroes Wear Capes!